I hate being late. Considering my utter disorganisation in every other area of my life, this might seem like a strange dislike, but there you go. I don’t mind so much when other people are late, but I loathe arriving somewhere after an event has already begun or after everyone has already arrived. I would much rather get somewhere early and wait, calm and composed and relaxed. But, alas, despite my best intentions for this post, I am several days late for the newest Sweet Adventures Blog Hop. Hopefully, this is a case of ‘better late than never’? 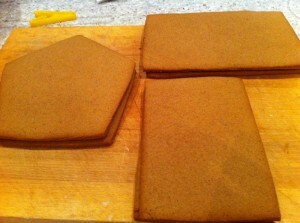 I love gingerbread and the way it makes the house smell like Christmas when it’s baking in the oven. 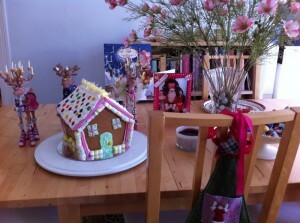 I love the idea of making gingerbread houses, but I always forget how fiddly they are! Gingerbread houses are the sucker punch of baking. 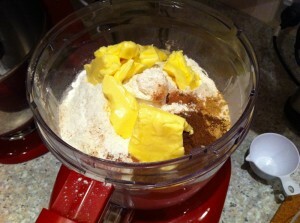 You get through making, chilling, rolling, cutting and baking the dough no worries. You enjoy it, the house smells nice, you sneak a bit of gingerbread dough while you’re at it and then you’re in a happy place. Until it comes time for assembly. Then BAM it all falls apart. Often literally. and sliding walls necessitated impromptu scaffolding. An all the reindeer gathered round. Here’s a side view. I think the world would be a better place if everyone’s guttering were made of musk sticks and lemon sherbert. Who could be cranky and late then? 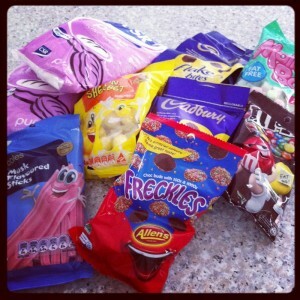 This post was part of the Sweet Adventures Festive Favourites Blog Hop kindly hosted by 84th&3rd. 8. Pipe some royal icing onto the corners of each piece in order to attach walls and roof. 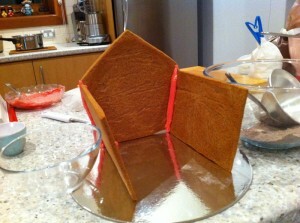 You may need to use some scaffolding to hold pieces in place while the icing dries. Leave undecorated house overnight to dry before decorating. 2. 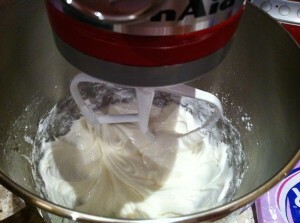 Whisk in the icing sugar until a stiff icing is formed. Thanks for joining! Considering that we leave it open for a week you aren’t really even late – just fashionable 😉 Love the shape of the house – Merry Christmas! 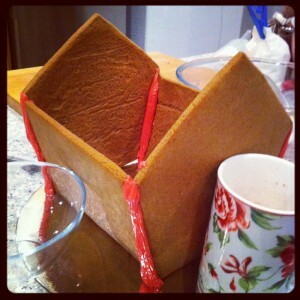 What a lovely gingerbread house. 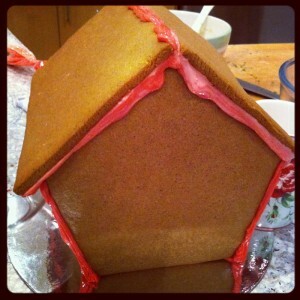 I actually really like the reddish icing holding it all together – very festive. 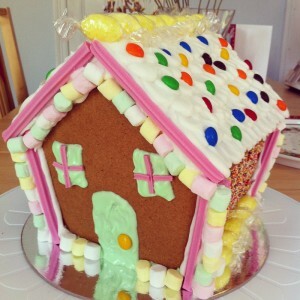 Great house – love the freckle wall and the musk sticks do make perfect guttering! Wow this is so beautiful! 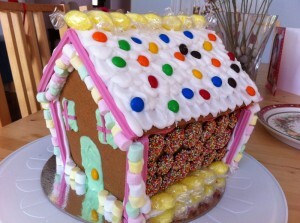 as good as Zumbo’s gingerbread house. merry xmas!